Calaméo - Suzuki Program vs. Traditional: Which Music Curriculum Is Better? Suzuki Program vs. 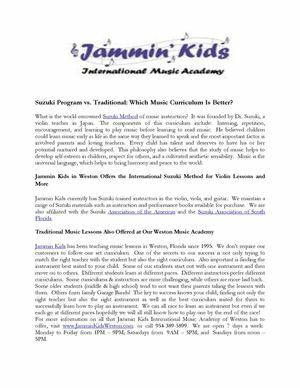 Traditional: Which Music Curriculum Is Better?